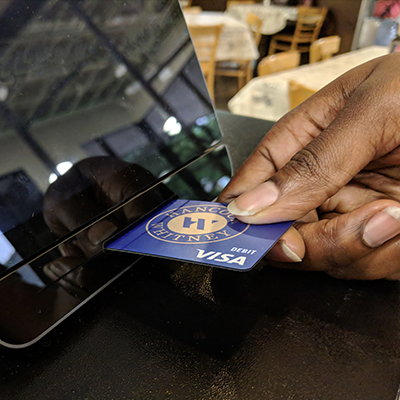 Hancock Whitney offers chip-enabled debit and credit cards. 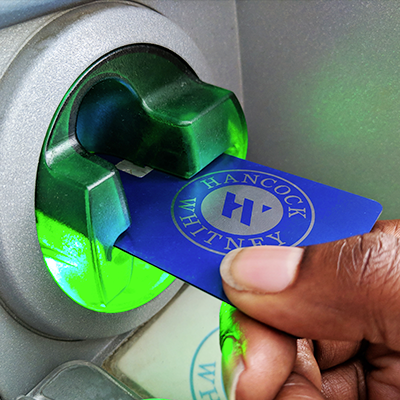 The embedded microchip provides extra security by encrypting client data when used at chip-enabled registers and ATMs. So, shop with confidence, knowing you're protected. Simply insert your card, with the chip side face up and keep it inserted in the terminal. Follow the prompts to enter your PIN or signature as needed. Don't forget to take your card when your purchase is complete. Insert your card in the ATM as you currently do today. Leave your card in the ATM until you are prompted to remove. The ATM will release your card when your transaction is complete. Remember, always take your card, cash and receipt with you once you are done with your transaction. Continue using your same payment process when making an online purchase with your new chip-enabled card. Add your card to the wallet app on your eligible Apple, Android, or Samsung device to conveniently make purchases at a variety of merchants in stores, within apps and online. Make purchases at participating locations with just one touch of your device. Questions about your new Debit Card? 1 Some Pin-based debit transactions may be routed through non-Visa networks. Transactions routed through non-Visa networks will not trigger a purchase alert. 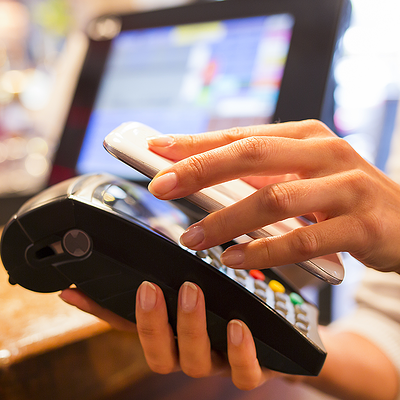 Actual time to receive Visa Purchase Alerts is dependent on when the merchant submits the charge, wireless service, and coverage within area. Alerts service may not be available in all areas. Message and data rates may apply. Gasoline alerts may not include purchase amount. Account activity qualifying for Alert service may vary by issuer. A limit of ten cards can be registered per Visa Purchase Alerts account. Additional restrictions apply.